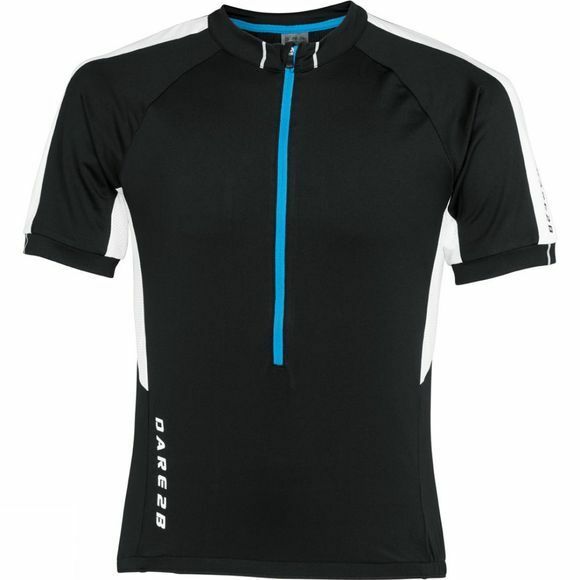 The Men's Retribute Jersey from Dare 2B is a performance driven jersey that has been designed to meet the needs of the most demanding cyclists. It offers excellent wicking performance and a large zip down the front allows ventilation when you need it the most while the anti-bacterial treatment reduces the chance of odour causing bacteria building up. 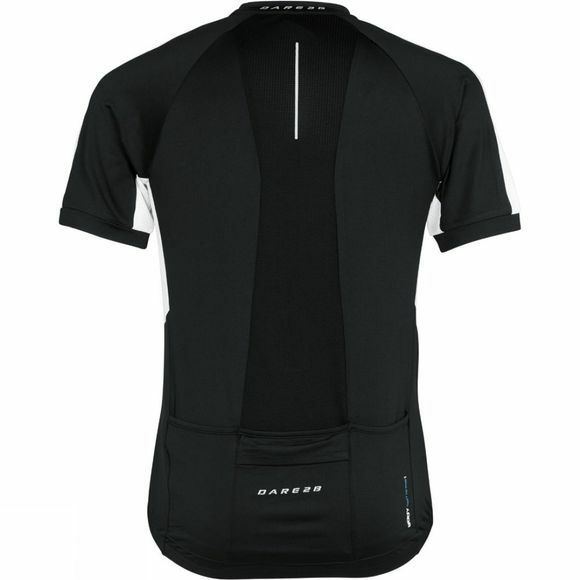 Three pockets on the back of the jersey are great for stashing some nibbles, your map and your wind top just in case the weather takes a turn for the worse.